Rollerblade 84mm wheels with bearings and spacer - This replacement wheel set with SG-7 ball bearing has 84mm wheel size and 84a wheel hardness. 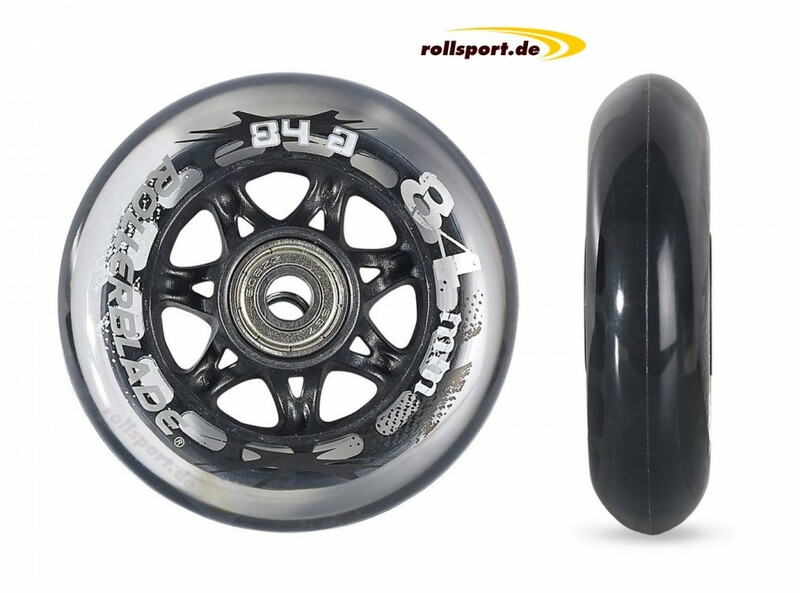 This Rollerblade wheel set is equipped with SG 7 ball bearings, as well as aluminum spacers. The wheels can be used without any problems for skates with a wheel size of 80 mm! The inner diameter is suitable for 8mm axles. If you need 6mm, so just skip the 8mm spacer out of the wheels and put your old spacer with 6mm into the wheels then they fit as same on 6mm axles. 8 wheels with bearing and spacer are delivered! Install and start!